I don’t smoke, but love Zippo lighters. 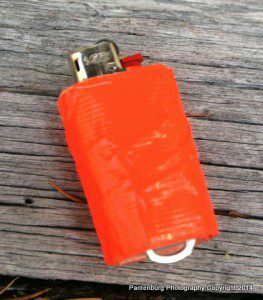 Modify a Zippo lighter as an auxiliary survival fire making tool. Like many GIs, my dad came back from World War II with a heavy smoking habit. Thankfully, he quit when I was young, but I remember Dad’s worn Zippo. This Zippo is part of my survival firemaking kit. It shouldn’t be your only ignition tool. It was the same lighter he’d carried as a World War II company commander infantryman in Europe. Even though the wheel that made the sparks showed a lot of wear, the Zippo never failed. It rode in his pocket everywhere. Since boys emulate their fathers, I got a Zippo as soon as I was allowed. One of my favorite jobs was lighting bean straw when Dad was plowing. The straw would ball up between the frame and plow share, and when it got too big, Dad would kick the wad of straw into a furrow, and I got to light it. When I went squirrel hunting after school, I carried my Ruger 10/22, a three-blade Stockman pattern pocket knife and my Zippo. All the gear worked just fine. The Zippo lighter was first produced in 1933, and I’m guessing the Zippo was the primary fire making method for military people during twentieth century wars. Many, if not most, of the service members smoked back then. Matches have never been reliable, but a Zippo usually functioned well under extreme circumstances. It could run on gasoline, and as long as you had a wick and spare flints, the lighter would function. But history doesn’t prove a Zippo should be your primary survival fire starting method. My experience is that a Zippo can be wildly erratic. I extensively field tested a Zippo about ten years ago. My Zippo was filled to the saturation point with lighter fluid, then checked out how many fires it would make before it failed. Over the next two days, the total number of lights was 974! (This is probably some indication of my social life!) When full of fluid, the Zippo worked immediately after a one-minute ice water bath. It came out the freezer overnight and fired on the second try. I sealed the hinge and opening with a piece of duct tape, and left it alone for a month, and it still fired. I filled the lighter to saturation with fluid and timed it. From ignition to flickering light was 32 minutes. After closing the top, it restored itself well enough to burn another four minutes. But the Zippo-style lighter was wildly inconsistent in other areas. That same fully saturated lighter dried out completely in three days in hot desert heat. Having it sealed didn’t matter. And sometimes, for reasons I never figured out, the Zippo just wouldn’t light. 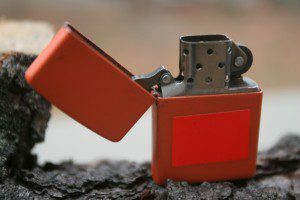 A Zippo works in the cold: A butane lighter is affected by altitude, and if it gets cold or wet, it may not work at all. Matches are unreliable. Add several feet of duct tape and a poptop to a standard BIC mini lighter and you have a firestarting kit. 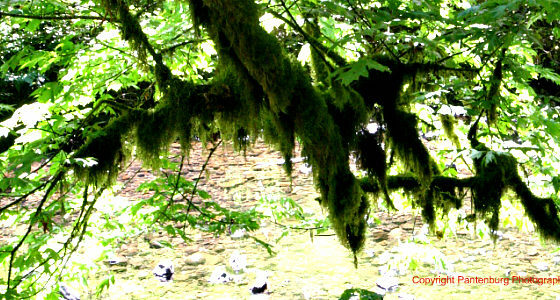 But cold temperatures or sand or mud could disable it. A Zippo can work with gasoline. If there is an internal combustion engine somewhere around, chances are you can fuel your lighter. 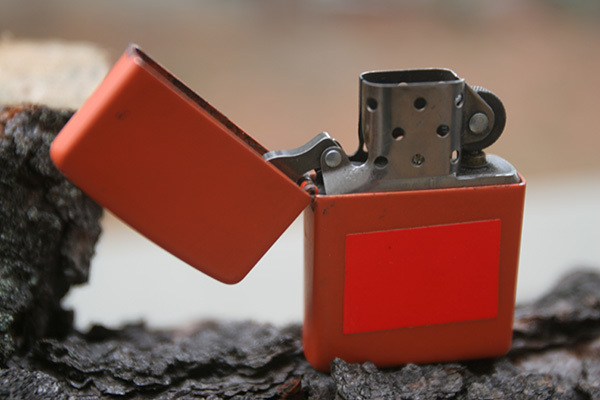 Durable design: Unlike many butane lighters, the Zippo design protects all the weaker parts. A Zippo can handle being stepped on, dropped or being stomped into the mud. If the lighter is sealed with a piece of bicycle tubing, it is waterproof. A butane lighter, such as my beloved BIC minis, could be disabled by dropping them in cold water, or by getting a grain of sand in the sparker. One handed operation: You can light a Zippo with your weak hand, even if your other arm is broken and immobilized. You could put the lighted Zippo under a pile of twigs, and have enough time to dry out the tinder. 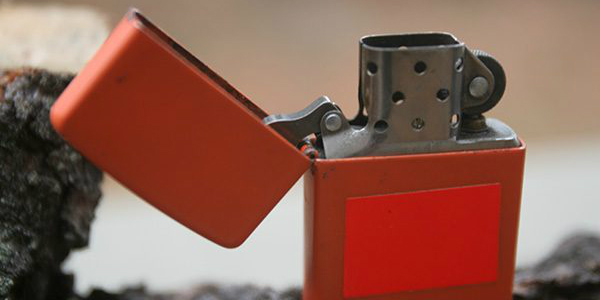 There are a few tips that can improve your Zippo for survival use. Put spare flints and wick in the fuel reservoir area: Take off the thick felt cover on the bottom , and put several flints on top. Remove enough stuffing that a wick will fit. Neither of these modifications will affect lighter efficiency. Seal lighter with duct tape or a piece of bicycle tube: This will slow, but not stop evaporation. Check the lighter every time before you go out. This action will assure you have at least one ignition source that should work. Carry charcloth: Charcloth is a material that can catch any spark, and create an ember. This can be used to make a fire with a dysfunctional lighter. As long as it sparks, any lighter can be used to start a fire. I haven’t found the one reliable ignition source for emergency firemaking. The best advice is carry several different type of sources. Then, regardless of the situation, something should work. Good article, never thought about the stuffing of my zippo…. I Have a highly polished (and highly used) Brass zippo, I figured if i drop it it would be easier to find.